Curse that evil, little bee. 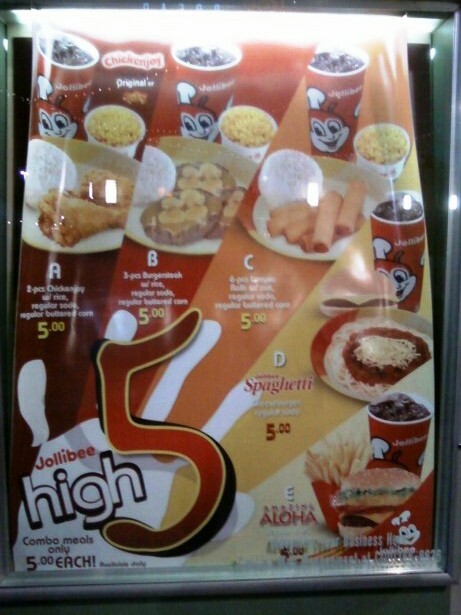 It has to be the Philippines' way of punishing us for gawd only knows what. That's the only reason that I can think that I found this sign only 200 feet from the front door of the Five Guys Burgers and Fries. 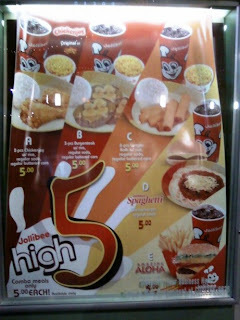 Jollibee produces some of the world's foulest little cheeseburgers, and there is no way that ANYONE should be eating them. For about the same price, one could have a decent/good burger. Citizens of Carson--you have been warned--these are awful cheeseburgers, and you really don't need to be eating them.